Cattie Adhesives- provides a wide range of Adhesive Lab Testing Services. Our Chemists and Technical Group have the knowledge and experience to understand your complete Lab Testing Services project requirements. WE provide Technical Support and Lab Testing Services in the areas of Adhesives, Coatings and Packaging. Call us, we can help you determine which Adhesive Lab Tests are needed; and then we will evaluate the lab test results to select the best adhesive solution for your application. We also provide Performance Testing & Evaluation Services; and Certified Test Reports for Validating adhesives to specific packaging performance requirements. An Adhesive or Coating Formula developed or modified. An adhesive analyzed and matched. Help to Run adhesive and coating trials. To Determine the cause of problem on a line. Some help determining who to call first-The substrate, ink, adhesive, or coating supplier. Some help to determine if an adhesive problem is staff, maintenance or equipment related. Help to reorganize, downsize, cut costs. 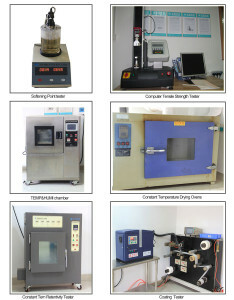 Commercial sampling through toll manufacturing.